The days are shorter, the nights are colder, and we are busier than ever with school and work. Nothing is better than stepping into a warm house that smells like some comfort food on an evening after a very long day. Today was one of those days for us! Our dinner needed to be warm, filling, and most importantly, delicious. 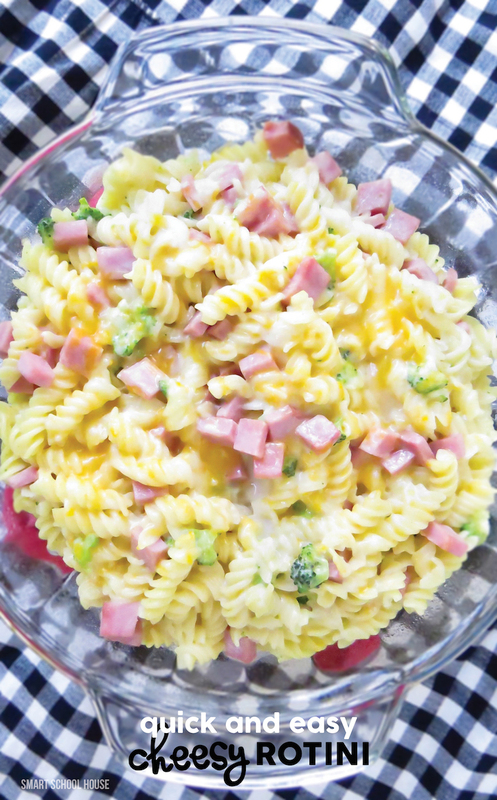 Our family recipe for Quick and Easy Cheesy Rotini is a kid-favorite and reliable go-to dinner idea for fall and winter nights.